The biography of Gautier Capuçon , one of the world's few leading young cellists, alreadt reads like a complete success story. He was born in Chambéry in 1981, began playing the cello at the age of five and studied at the Paris Conservatoire. In 1999 he won both the first prize of the Maurice Ravel Music Academy of Saint-Jean-de-Luz and the André Navarra Competition in Toulouse. 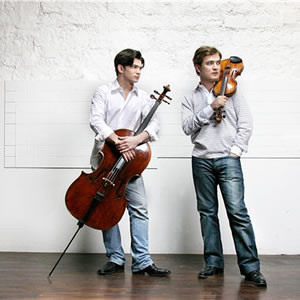 The following year Capuçon was awarded the Paris Conservatoire's Cello and Chamber Music Prize and has since attended Heinrich Schiff's master classes in Vienna. In 2001 the Victoires de la Musique (the French pendant of the US Grammy award), France's top music awards, named him New Talent of the Year and in 2004 he received an award from Borletti-Buitoni Trust. As a member of the European Community Youth Orchestra and the Gustav Mahler Youth Orchestra he performed in 1997/98 under conductors such as Bernard Haitink , Kent Nagano, Pierre Boulez, Daniele Gatti , Seiji Ozawa and Claudio Abbado . As a soloist he played with a.o . the Chamber Orchestra of Europe and the Santa Cecilia Orchestra Rome under Myung-Whun Chung, the Philadelphia Orchestra under Charles Dutoit, the Detroit Symphony Orchestra under Hans Graf, the Orchestre de Paris under Christoph Eschenbach , the Ensemble Orchestral de Paris under John Nelson and the Orchestre Philharmonique de Monte-Carlo under the late Armin Jordan. Recent highlights have included performances with the Munich Philharmonic under Paavo Järvi and appearances with Camerata Athens under Sir Neville Marriner , the Orchestre de Bordeaux under Louis Langrée , the Orchestre de Lyon, Orchestre National de France and Dresden Philharmonie and tours with the Scottish Chamber Orchestra, Orchestre National des Pays de la Loire, the New Zealand Symphony and – in China – the Orchestre de Strasbourg under Marc Albrecht. 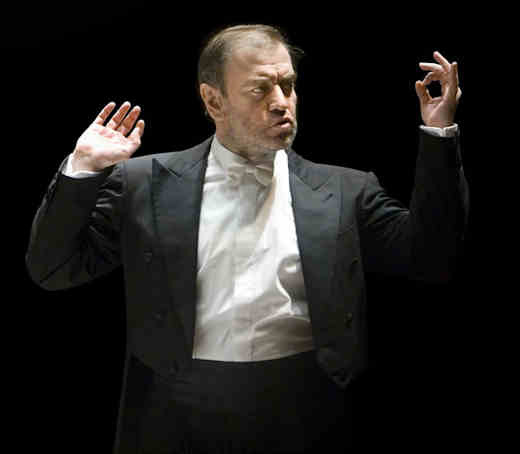 In February 2008 he made his debut with Washington DC's National Symphony Orchestra under Leonard Slatkin and Philadelphia Symphony with Charles Dutoit, in the 2009/2010 season with the San Francisco Symphony and Los Angeles Philharmonic, the Mariinsky Theatre Orchestra, Philharmonia Orchestra, Royal Philharmonic Orchestra, and the Vienna Symphony Orchestra. As a chamber musician, Gautier Capuçon undertook a tour of Italy in a trio with Katia Labèque and Victoria Mullova , while his other chamber partners include Martha Argerich (with whom he made a tour of Japan), Daniel Barenboim, Yuri Bashmet , Gérard Caussé , Myung-Whun Chung, Hélène Grimaud , Stephen Kovacevich , Jean-Yves Thibaudet , Lilya Zilberstein, Leonidas Kavakos, Menahem Pressler and Gabriela Montero. His closest musical relationship is with his violinist brother Renaud, with whom he notably made a critically acclaimed US recital tour. 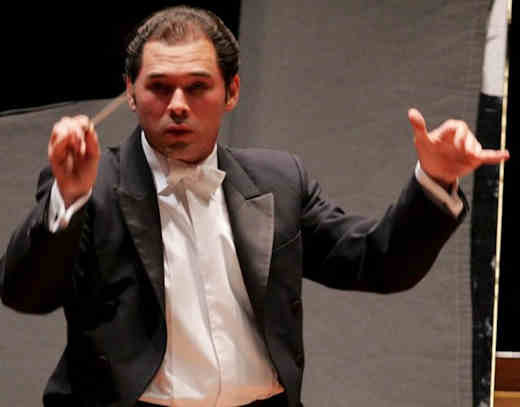 He has also given many solo recitals across Europe, and he appears frequently at major European music festivals. Gautier's recordings for Virgin Classics include Haydn's two Cello Concertos with the Mahler Chamber Orchestra under Daniel Harding, and with Renaud Capuçon a number of works by Brahms – the Double Concerto (with the Gustav Mahler Youth Orchestra and Myung-Whun Chung), Clarinet Quintet and Trios, the Ravel Trio, Schubert's 'Trout' Quintet, Face à face and Inventions (both albums of duos) and a hugely popular version of Carnaval des animaux by Saint-Saens. In January 2008 the Cello Sonatas by Prokofiev and Rachmaninov, with pianist Gabriela Montero, were released. Gautier Capuçon belongs to the young generation of musicians who do not care much about all the pomp and circumstance that is so often inherent to fame. Like his highly talented young colleagues he studies hard and tries to give his very best. Gautier wants to make beautiful music as far as that goes, his main luxury being the applause and the recognition of his musical qualities. He is an exhilarating artist who impresses his audience with beautifully phrased and idiomatic interpretations on his 1701 Matteo Goffriler cello, and always searching for dramatic contrast in a most convincing and coherent manner. He does not go spurious gestures or inflections but he prefers warmth, affection and great finesse, keenly attentive to inner voices. Every detail is weighted by the perfectly poised subtleties of his bowing. Here is an artist at work who is fully capable of rhythmic grip and tonal coloring and who shades each and every phrase without losing sight of the grand structure of the piece. 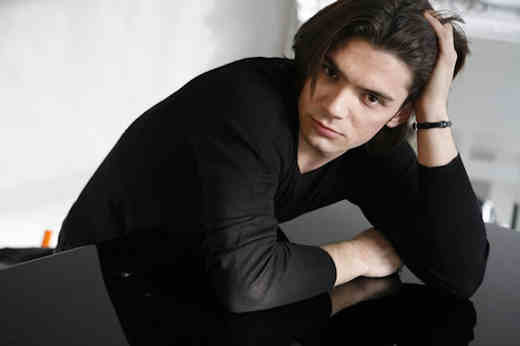 Gautier Capuçon is a great musician throughout. I met him on December 13, a sunny Sunday afternoon, after a series of three concerts with the Rotterdam Philharmonic Orchestra under the baton of Tugan Sokhiev (1977, Vladikavkaz, Ossetia), who just made his first appearance in the Rotterdam concert hall 'de Doelen'. 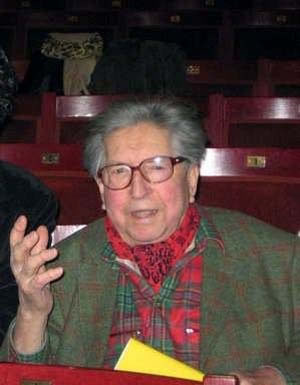 Gautier had played Tout un monde lointain, the cello concerto composed in 1970 by Henri Dutilleux (1916, Angers, France). His performance of the work was a sheer miracle and highly cheered by the audience and the orchestra. His vigorous approach, in full control and masterly balanced, greatly supported by the orchestra, was really winning my day. I gathered he should have been exhausted after such a tour de force, but he wasn't. After a well-deserved espresso he was ready to talk. The flower bouquet he got from the orchestra's cello section was neatly displayed on the grand piano in his room. Gautier was very touched by this eloquent gesture. He was quite amazed about the orchestra's many young players: “Together with their new young leader, Yannick Nézet-Séguin, a great musician, they make a really excellent team.” And with a big smile: “We could do certain things together, I think.” Then, there was the book waiting for him to write down his experiences with the orchestra. What was his impression so far? Taking this up a little bit further, my thought was that there is no such audience in a recording studio. Even worse, it can be a rather unsociable environment out there, almost like in an office. In the rear, behind the glass screen, there is that down-to-earth voice announcing that a passage needs to be done again, from bar so and so. And again… and again. I tossed in the idea that music calls for progression. That we need to be consistently aware that music is not the kind of an exclusive art form that calls for preservation in a museum-like concert hall. Maybe I provoked him by saying that the music scene around the world has been swamped by the Cello Concertos by Dvorák, Haydn, Saint-Saens, Schumann and even Elgar and Shostakovich, but that those by Britten (albeit a Cello Symphony), Honegger, Ibert , Lutoslawski , Martin, Delius, Miaskovsky , Vlasov are much less frequently performed, as are the concertante works by Schnittke , Tishchenko , Gubaidulina , Khachaturian, Knipper , Toyama and Weinberg, to name just a few. Gautier exclaimed: “Absolutely!”, but left it at that. In the meantime we are witnessing the gap between contemporary music and the public. Too many composers are writing new music without obviously reaching the public. Gautier likes to perform new works and he is really interested in new concepts and ideas. A traditional model is the sandwich program, the traditional mixed bag with ‘old and new'. As long as we appreciate that also new music needs to meet high quality standards, although it is not always easy to assess these in view of the work on hand, and especially not when it is heard for the very first (and often very last!) time. What about Dutilleux's Cello Concerto Tout un monde lointain ? Nothing can be wrong? Well, reviewers might just happen to think differently! What about reviews comparing performances by a variety of artists? People like to compare, it already starts at elementary school, or even before. “When we are practicing together we don't need many words. It goes very fast, it's like we want to say the same thing at the same time, without knowing why, but it works for us. It might have something to do with the same education, the same background. Deep inside we feel in the same way, about a phrase, or even the big picture of the work, although there are many different things needed to put it all together. It's like you cook, you want to do the same dish, but inside you put different things of your own. His prime examples? For instance Jacqueline du Pré , Pierre Fournier, and Leonard Rose. Pablo Casals, yes, but that's another book. The idea of Pierre Boulez writing a cello concerto? He might just be too old for that now, even if he would like the idea. What about all the traveling, from one hotel and concert hall to the other?